Plenty of smiles, as the Seven 270’s free-revving Ford Sigma engine provides all–round driving enjoyment. Born out of a happy accident, the Seven 310 has a power and rev limit increase over the Seven 270 that produces the very best from the Sigma engine. Being propelled by a Ford Duratec 2.0L engine, the Seven 360 blends performance and exhilaration for hours‑upon‑hours of driving pleasure. Stepping up a gear in performance, the Seven 420 gains 30 more horsepower over the Seven 360, providing the most ardent sports car fan real driving thrills. Includes Academy Championship registration and a fully guided entry into motorsport and competition, along with our entry-level Seven Academy road legal race car. A Includes Seven 420R Championship registration, entry fees for the full motorsport season and our flagship Seven 420 track only race car. In this era of automation and technology, it’s too easy to let science do everything for you. Your car can now park itself and moves are afoot to allow it to drive you around too. 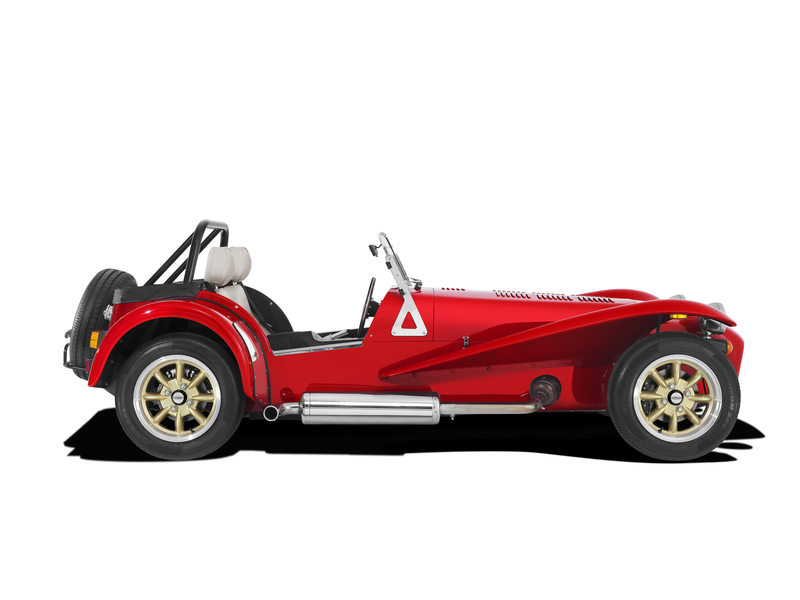 At Caterham we hold to the theory that ‘less, is more’. That’s why each of our Sevens are engineered to deliver a driving experience, they aren’t simply vehicles to propel you from point A to point B, but to gain all there is from that journey, fun! Simple physics. Nothing on four wheels is as light as us. At a little over 500kg and with engines ranging from 125 to 310bhp, the Seven offers a broad range of performance from swift to astonishing. No driver aids or frills, just direct feedback- a pure and responsive driving experience. Choose from either a Standard Chassis or Large Chassis for extra room*. Standard Chassis will accommodate drivers approximately up to 6’2. 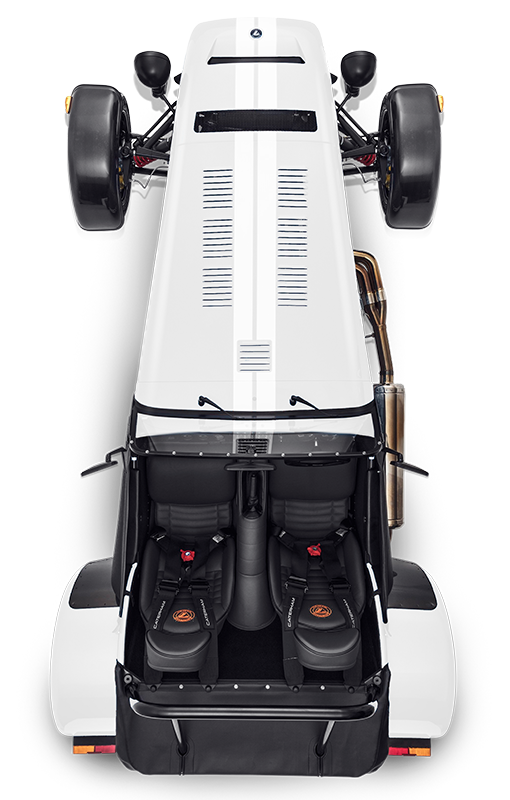 Large Chassis will accommodate drivers approximately up to 6’6. Road or track: whatever’s in front you, turn it into an experience. Whilst all our Seven’s come readily equipped with our S Pack as standard, you may not feel yourself to be the everyday road-going connoisseur, but rather a track day dominator. The R Pack is engineered for the track and designed to maximise the already impressive Seven platform through the inclusion of a limited-slip differential, sports suspension, four-point race harness and a host of additional race-inspired upgrades.